25/06/2006 / Be the first to comment! / Be the first to like this! 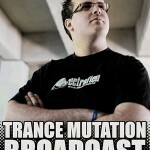 Truly euphoric set with key-mixed uplifting trance ! Fasten your seatbelts and get ready for take-off. 11/06/2006 / Be the first to comment! / Be the first to like this! Jordan Waeles does it again with a half uplifting / half banging trance mix. Lift your hands up !